The Beatophonics does not only take you down memory lane - they do it with a seldom heard energy, love and care that give you the picture that these guys were simply born in the wrong era. It's 1963. A noisy club in Liverpool - England, Reeperbahn - Hamburg or anywhere else in Europe where the new exciting raw sounds from young sweating and stomping beat groups fills every club and venue. It's the sound of atomic bass drums, spiky guitars and screaming vocals that keeps people dancing and going crazy for hours on end. The music is supplied by a now endless legendary row of long gone British beat groups. In London Johnny Kidd & his Pirates are Shakin' All Over, while The Manfreds, The Yardbirds, The Rolling Stones and The Zombies are all tuning up their guitars, getting ready to enter the stages and the charts. Up north in Manchester The Hollies is perfecting their trademark vocal harmony work, while in a crazy little club called The Cavern up in Liverpool, groups like The Big Three, Gerry & The Pacemakers and four soon-to-be-mop-tops who calls themselves The Beatles are making a noise and getting ready to change music history. 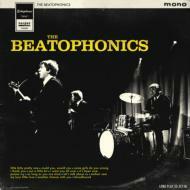 It's this music, scene and style of playing that the newly formed beat group, The Beatophonics are paying a tribute to. Three talented and experienced well known guys from the Danish music scene who has a common love for the sound of the 60s but wasn't even born when this scene became psychedelic, arty or just plain serious. The authentic backbeat of hard working drummer Flemming, the booming warm bass sound from bass player and singer Rasmus and the Mick Green-inspired combined rhythm/lead playing of guitar player and lead singer Soren along with their trademark sixties style vocal harmonies makes up the stomping, wailing exciting and dynamic mod beat sounds of The Beatophonics - in true mono!